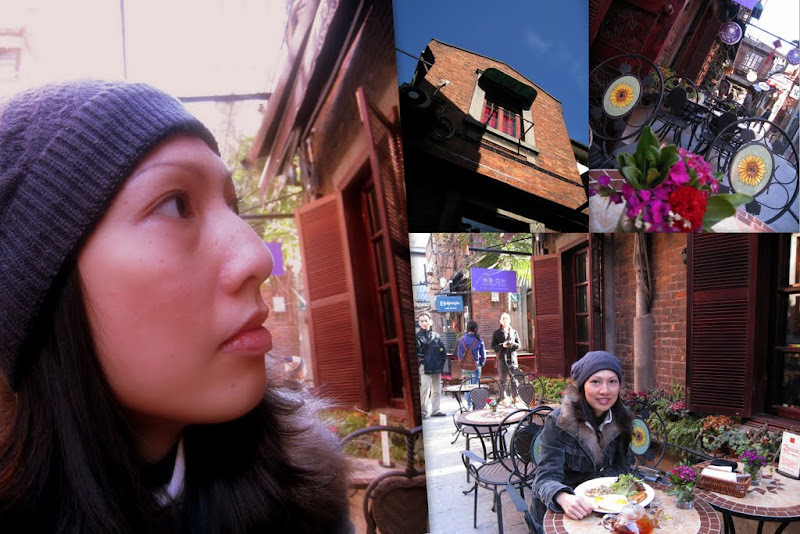 After more than 18 months, Felicia was finally back in Shanghai – Happily Alone! Let’s say it was her "annual leave" (or Anniversary gift) holiday – For a precious 60-hour break, she was 1,000 miles away from her son and those back-breaking household chores! It was an impulse travel decision (made only on Tuesday) and off she flew on Friday morning. What about Elkan? 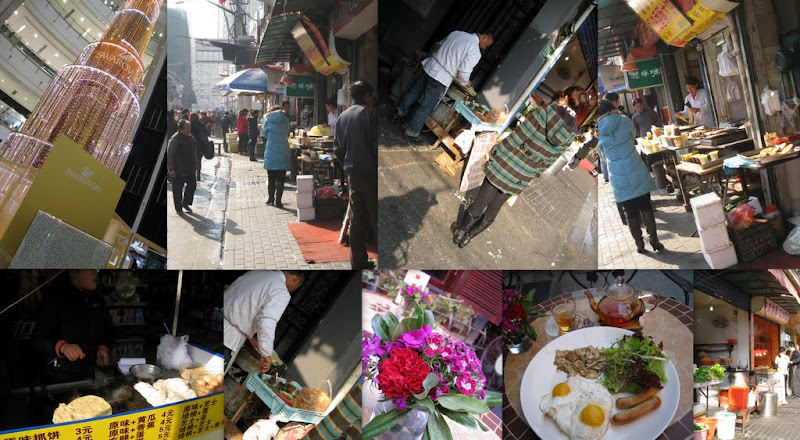 For only HKD80, we parked Elkan from 9am-6pm (cheaper than a carpark fee!) at a childcare center near my office. Just realised how fortunate we are – as soon as the group got the wind of Felicia’s solo trip to Shanghai – Scott, Harshad, HongFei and Tracy came to my rescue. All of them volunteered to babysit Elkan. Things were certainly not the same with and without Felicia. My friends become more liberal…and they even wanted to stay overnight at my house with Elkan! Even Elkan behaved very differently when his mum wasn’t around – He was 200% naughtier and nosier! Mmm.. not sure this is a good idea to grant any more annual leaves for my wife. Perhaps, I should send both mum and son away the next time. 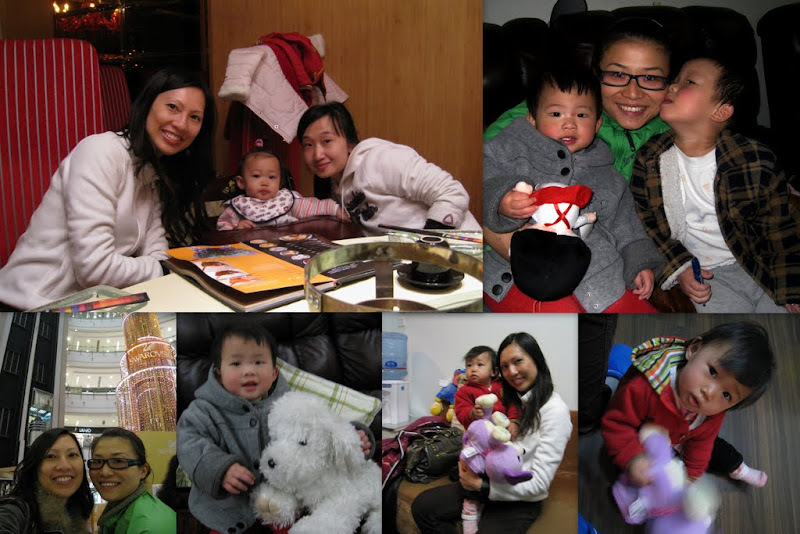 Despite being away from her "very naughty" son, Felicia found herself surrounded by mothers-&-kids in Shanghai! Nonetheless, I bet she enjoyed her short trip in Shanghai – Over the past 2 days, she visited our good friends – Echo, Johnny and Ming. And not to mention those shopping sites where she accumulated 2 big bags of goodies!